SOLD OUT! Saturday, April 27th SOLD OUT! Ashaya means “abode of the heart.” This yoga heals the body, mind and spirit and is rooted in Kashmir Shaiva Tantra. Everyone has unique and optimal position of alignment. Though there are many detailed alignment techniques, the balance of the contracting and expanding energies around a body part is most important. Injuries result or don’t heal when there is an imbalance of this energy (spanda). When there is an imbalance of spanda, muscles are too tight or too loose. This affects the joints that the muscles move and protect. Expand- from the spanda (energy) of the particular pose. This is the stretch. Once you are open, engaged and aligned , you will safely stretch without injury. This will promote healing and ultimately more strength and flexibility. Linda Moran has been studying yoga since 1993 and teaching since 2004. She began taking yoga as part of a plan to manage a chronic back problem and fell in love with it. Linda earned her Raj Ashtanga 200-hour YTT (yoga teacher training) certification from Focal Point Yoga in Stow, MA and her 500 hour certification in Ashaya Yoga. She currently assists her teacher Todd Norian in his 200 and 300-hour training modules. In addition to teaching yoga, Linda has been a physical therapist with advanced degrees since 1982. She earned an Advanced Master of Science in Orthopedic Manual Therapy and Sports Physical Therapy from Massachusetts General Hospital Institute of Health Professions. Her private practice is located in Chelmsford, MA. Both in her yoga classes and her practice, she strives to support and nurture each student, while seeing and encouraging their potential for greatness. Cost: $40 * SOLD OUT! Join us in yoga remembering that the world is one family, as Swami Kripalu used to say. 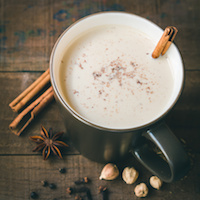 Enjoy a class, delicious homemade chai and contribute generously. Ella and Nadia will walk the Project Bread Walk on Sunday, May 5th and we need sponsors to meet our fundraising goals! "You walked, ran, and volunteered. You donated and sponsored Massachusetts' largest day of community action against hunger. Through your support of Project Bread's 50th Walk for Hunger, in 2018 we invested $1 million in 315 community programs across 97 Massachusetts cities and towns. You are funding research that will look closely at the causes of hunger in some of our state's highest-need communities. The insights gained through our research will inform and drive Project Bread's work and support a wide spectrum of anti-hunger organzations throughout Massachusetts. We look forward to sharing this with you when it is complete! You are supporting statewide solutions including expanding support to enroll food-insecure residents and families in federal nutrition programs, giving them stable access to nutritious food in their schools, supermarkets and communities." Thank you for your generosity in fighting hunger in MA!